ABOUT US | ETO CO.,LTD. ETO was established in 1920 (9th year of the Taisho era). It was formed as a lumber company in Okawa, Fukuoka Prefecture, a city where furniture has been flourishing for about 480 years. Okawa is located at the lower end of the Chikugo River, the longest river in the Kyushu region. 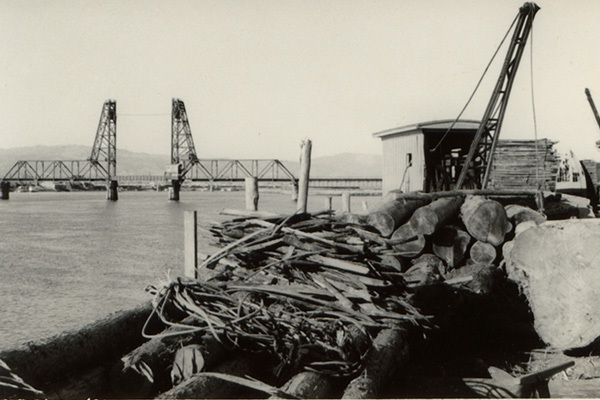 Wood from the lumber producing city of Hita, Oita Prefecture, which is located upstream, would be sent down the Chikugo River on rafts to the port of Okawa. 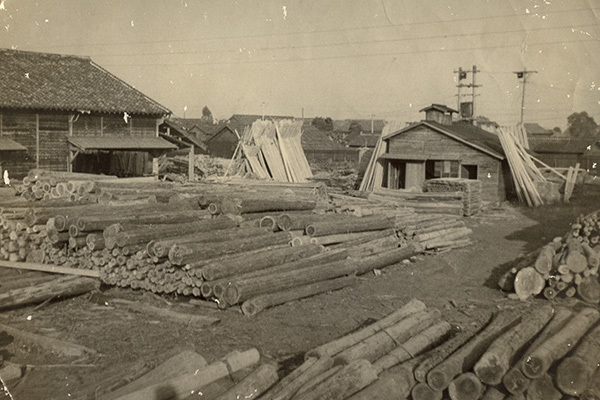 Okawa became a gathering point for lumber and other materials, as well as ships and shipbuilders. It is said that the furniture industry began here with the production of cabinets, which made use of shipbuilding techniques. After that, in the Meiji period, unique wardrobes were made in Okawa using the city’s advanced techniques, and the city’s furniture manufacturing industry continued to develop. Okawa became known across the country as the city of furniture. When difficulties arise, we must dare to transform. 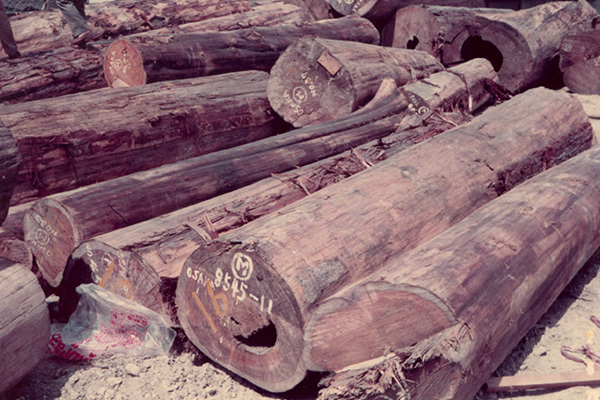 After persevering in the lumber industry for 70 years since our establishment, we at ETO sought to grow the market for our own lumber. In 1987 (62nd year of the Showa era), ETO entered the furniture manufacturing business, taking over a struggling local furniture factory. The collapse of Japan’s economic bubble, though, was just around the corner. One after another, local companies involved in the furniture industry went out of business, and the industry was reduced to a fraction of what it once was. Where there had been over 100 sawmills, that number was reduced to just 10. Along with the Okawa furniture industry, our company was faced with a crisis. We decided that “at a time like this, we must dare all the more to transform,” and in 1995 (7th year of the Heisei era), we moved to new offices at our current location and established a department specializing in housing and building materials. 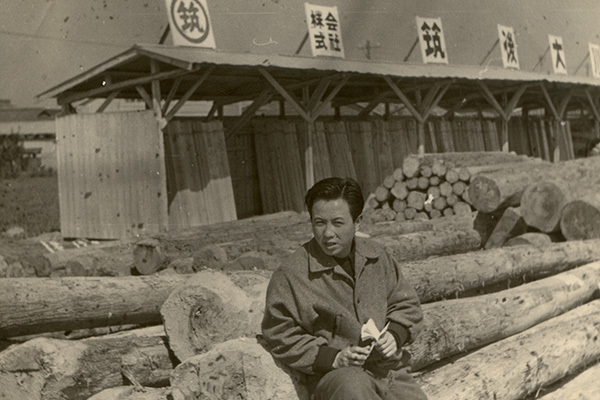 Our courage to face this new challenge was inspired by the spirit of our founder, who overcame great adversity, facing down the Great Depression soon after founding the Eto Sawmill (ETO’s predecessor company), and laid the foundation for the ETO of today. In hard times, especially, we must continue to go forward. Now, more than ever, our employees strive to carry on this spirit. It is deeply etched in all our hearts. Our market is Asia, and then, the world. Our fighting spirit drives our growth. Charles Darwin’s theory of evolution argues that living organisms that are able to respond to change are those that survive. I believe that the same applies to the world of business. Tradition is not something that we continue to inherit, but something that we continue to innovate. Since 2000, we have gradually expanded into overseas markets. We established a branch and are operating a furniture factory in Shenzhen, China. We also opened branches in Huizhou and Shanghai, together with establishing a controlling company for the Asian region in Hong Kong. In Vietnam, we established an import-export company. With wordworking skills that have been cultivated over many years, attention to detail, and world-renowned Japanese technology, we will continue to draw on the strength of our international networks to take up the challenge of innovation. These new departures are what are going to provide us with the greatest of sustenance. We will commit all our energy to the theme of “building markets in Asia and then the world” as we work towards our 100th anniversary. 1. We will carry Japanese culture forward, and offer living spaces that are good for people and the environment. 2. We will contribute to the protection of the environment through our corporate activities. 3. The company is a group of people who wish for, and work toward, customers’ happiness. 4. Company employees have a right to share in the company’s profits. 5. We will work to live and prosper alongside our community, with tireless innovation and creativity. Company Name: Eto Co., Ltd.
Overseas Management Company: Taiwan – Eto Trading Co., Ltd.
November 2013: Import/export company Eto (Vietnam) Co., Ltd. established in Vietnam. June 2014: Interior design division spun off to form Smart Living Co., Ltd.
April 1920: Founded as a lumber company in Okawa-shi, Fukuoka. 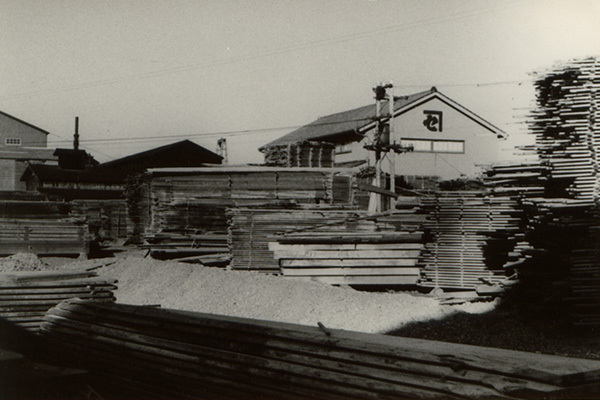 June 1944: Eto Seizaisho Co. established (Capital: 390,000 JPY). 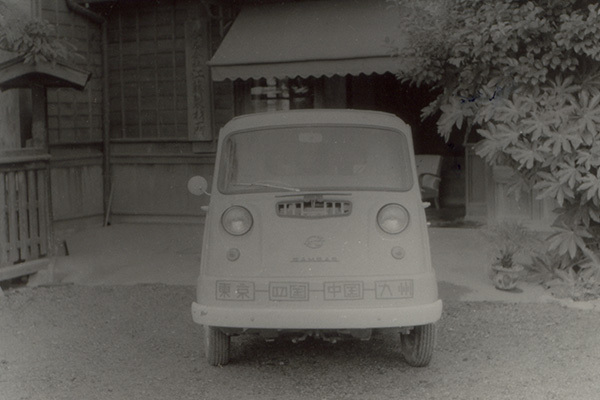 August 1974: Eto Co., Ltd. established (Capital: 8.0M JPY). Eto Seizaisho Co. renamed to Kanese Seizaisho Co., and reorganized as an asset management company. 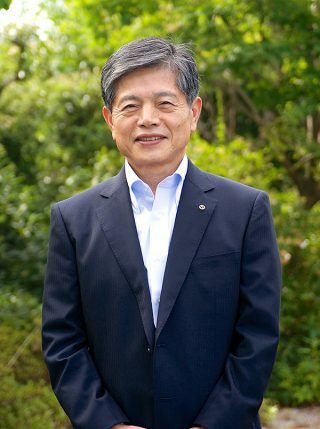 October 1987: Merger with Okawa Interior Kogyo Co., Ltd., entered furniture manufacturing industry (Capital: 18.0M JPY). August 1989: Interior design division (including custom order furniture department) established. November 1993: Registered as a construction company. Prefectural Governor License (Han-5) No. 4757. 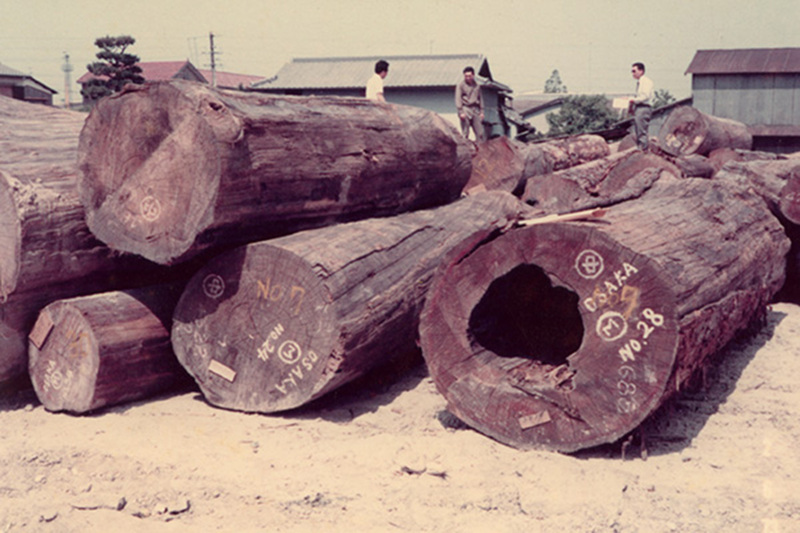 August 1994: Lumber division phased out, furniture manufacturing division split off into a separate corporation, Okawa Interior Kogyo Co., Ltd. established (Capital: 10.0M JPY). March 1995: Company offices relocated to the current address, homes and building materials divisions established. August 1995: Kanese Seizaisho Co. absorbed, capitalization adjusted to 37.39M JPY. November 1995: Registered as a licensed architectural firm. Prefectural Governor License No. 2-75903. March 2000: Log House Tenjijo (Floor space: 3,310 sq. meters) opened in Kiyama, Saga. November 2001: Registered as a qualified first class architectural firm. Prefectural Governor License No. 1-50222. January 2003: Log House Tenjijo renamed Kinoie Sogo Tenjijo, and reopened after renovations. February 2004: Lumber and building materials division phased out, building materials and import divisions established. January 2008: New model Tsunagaru Ie ~en~ completed at Kinoie Sogo Tenjijo. August 2008: Branch office opened in Shenzhen. September 2009: First furniture factory began operation in Huizhou, branch offices opened in Huizhou and Shanghai. July 2010: Affiliate company Eto Interior Co., Ltd. absorbed and reorganized as interior design division. September 2010: Second furniture factory began operation in Shenzhen. Kinoie Sogo Tenjijo sold, homes division scaled down and reorganized under the head office. December 2010: Management company for the Asia region established in Taiwan (Eto Furniture Trading Co., Ltd.). We are always seeking new salespeople and furniture designers. For more details, please get in touch with us via the contact form below.